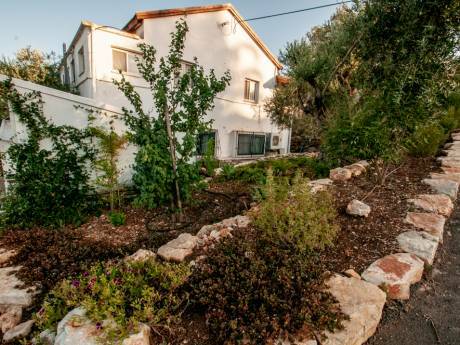 A beautiful, spacious, fully furnished, 2.5 floor home in Timrat, overlooking the Yizrael (Jezreel) Valley in northern Israel. Timrat is a residential community village, quiet and peaceful with hiking and biking trails surrounding it. There is a lovely view of the Yizrael (Jezreel) Valley from many spots in the village. The location of our home is perfect for daily trips to a large variety of places (see details of places and distances below) and returning back home to relax and hang out. 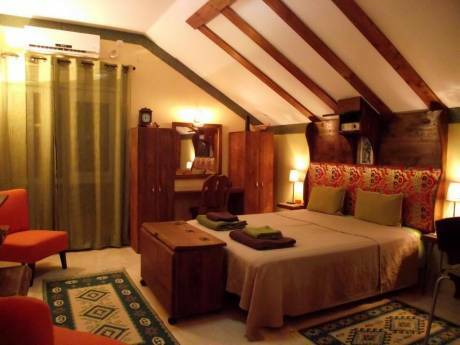 The house has 4 bedrooms on the upper level, an extra separate studio, and lots of large common space (living room, dining room, kitchen, huge veranda and garden) so you can either get together or find a quiet corner. As we have six kids you can imagine that the kitchen is spacious and fully equipped. In Timrat there is a large mini-market. Lots of supermarkets within 5-10 minutes drive from Timrat, and Take-Away pizzas, sushi, Chinese and middle-eastern food - if you don't feel like cooking. Only 7 minutes drive from Timrat, in Ramat Yishay, you will find a surprisingly new, lively and modern shopping center with all the shops, coffee houses, restaurants and bars you can think of. Located about midway between the Mediterranean Sea and the Sea of Galilee. 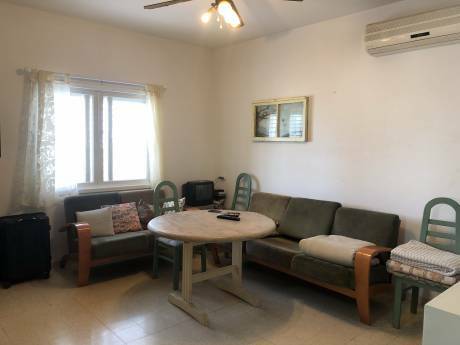 Our home is 10 minutes from NAZARETH, 25 minutes from HAIFA, 35 minutes from TIBERIAS, the SEA OF GALILEE and the JORDAN RIVER, 40 minutes from CAESAREA, 45 minutes from ACRE and only 75 minutes from TEL-AVIV. JERUSALEM is a bit less than two hours away. Great location, practically - the center of the north. Irit & Shaul, born in Israel. We retired this year, have 6 grown up kids & 2 grandchildren. We have been working many years in the areas of consultancy, group/parents workshops, youth at risk & HR management. We travel a lot, like hiking, enjoy nature and meeting new people. Timrat is a communal settlement in northern Israel. Located in the Lower Galilee near Nahalal, it falls under the jurisdiction of Jezreel Valley Regional Council. In 2007 it had a population of 1,700, about 350 families. The village was established in 1981. 20 - 35 MINUTES AWAY: Haifa city and beaches, Bahai center (in Haifa), Sea of Galilee, Tiberias, Capernaum, The Jordan River, Mount Tabor, Beth Shean.